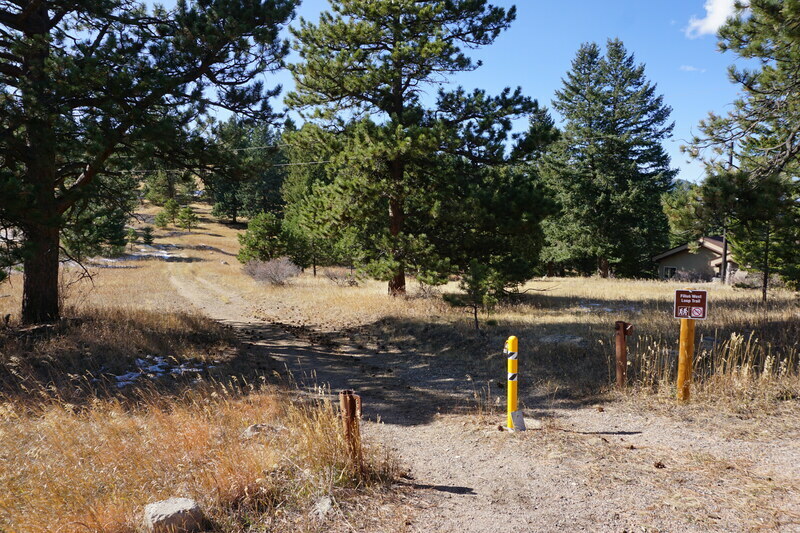 DIRECTIONS: From the junction of Hwy 50 and Route 92 in Curecanti NRA, head north on 92. Follow the winding route 92 past the Pioneer Point viewpoint and past the Hermit's Rest viewpoint. 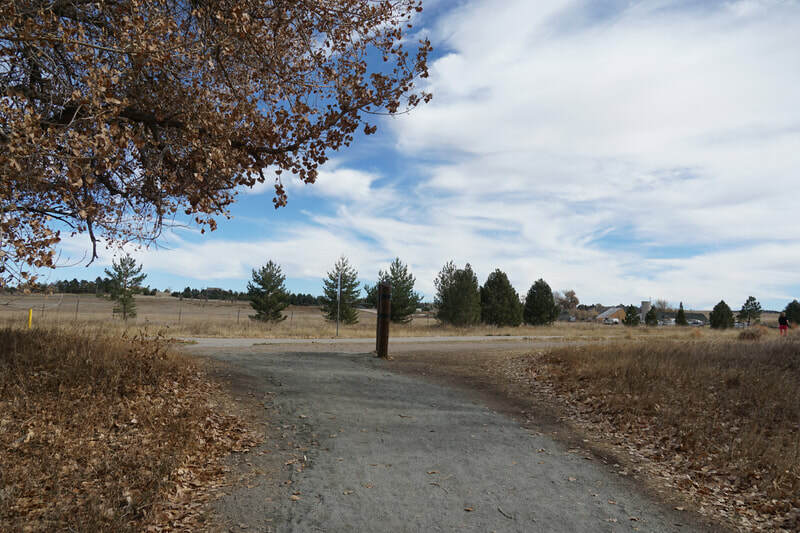 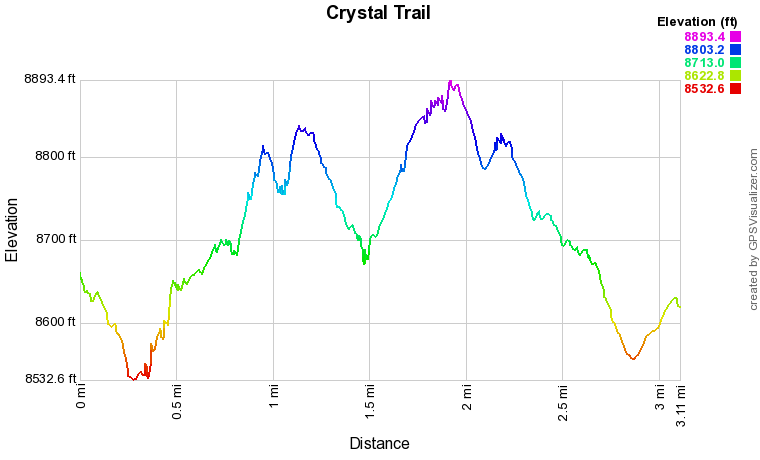 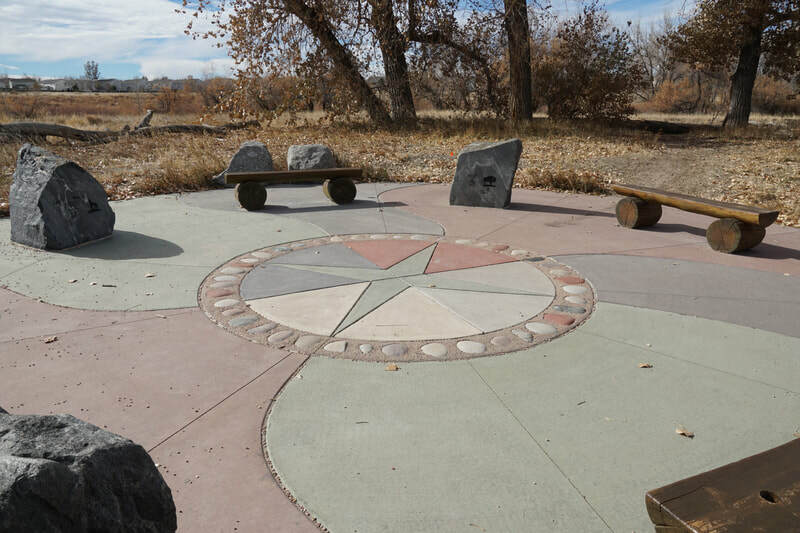 The Crystal Trailhead is the last pullout in the park. 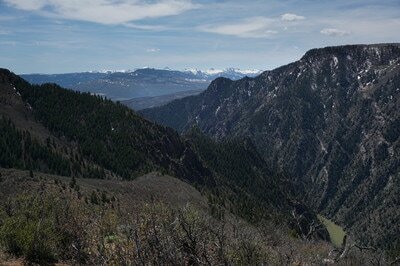 From the north, thead south on 92 from the town of Crawford until you enter Curecanti and see the Crystal Trailhead. 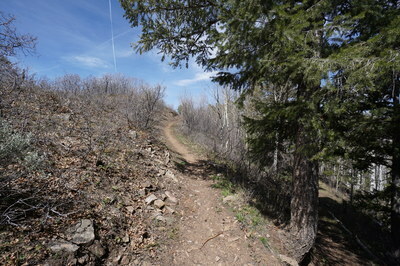 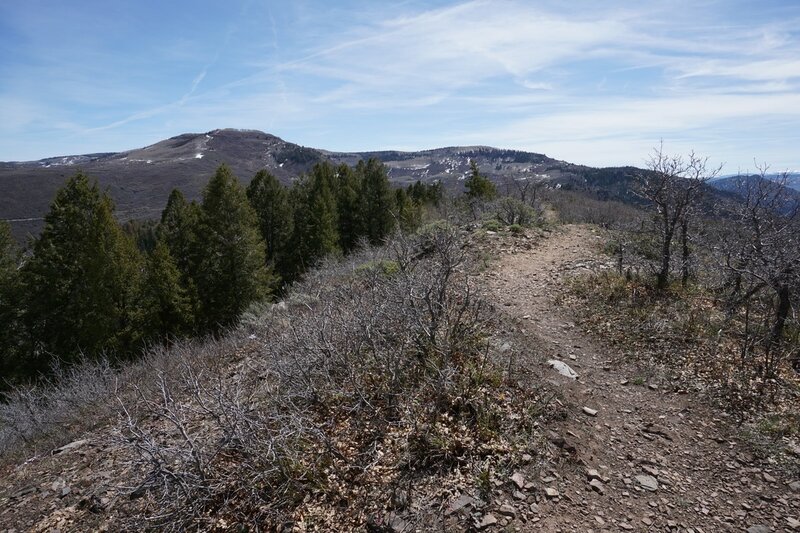 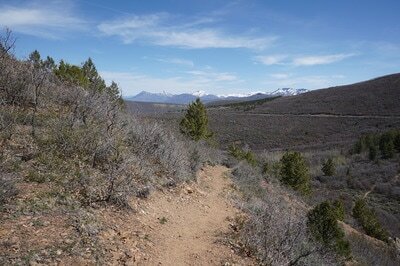 The Crystal Trail is the westernmost trail in Curecanti and has some of the best views in the park. 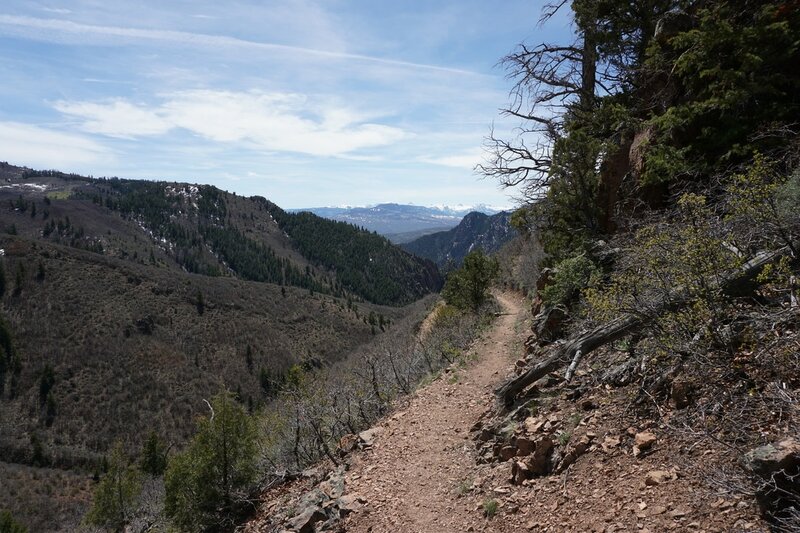 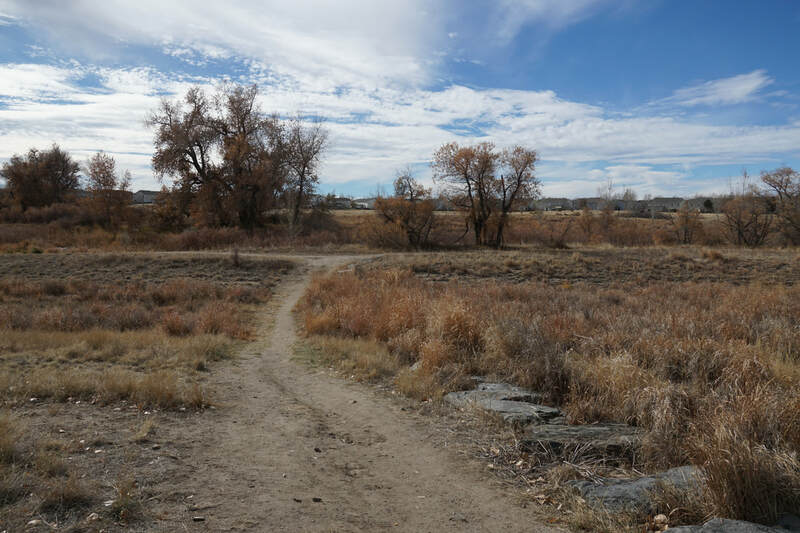 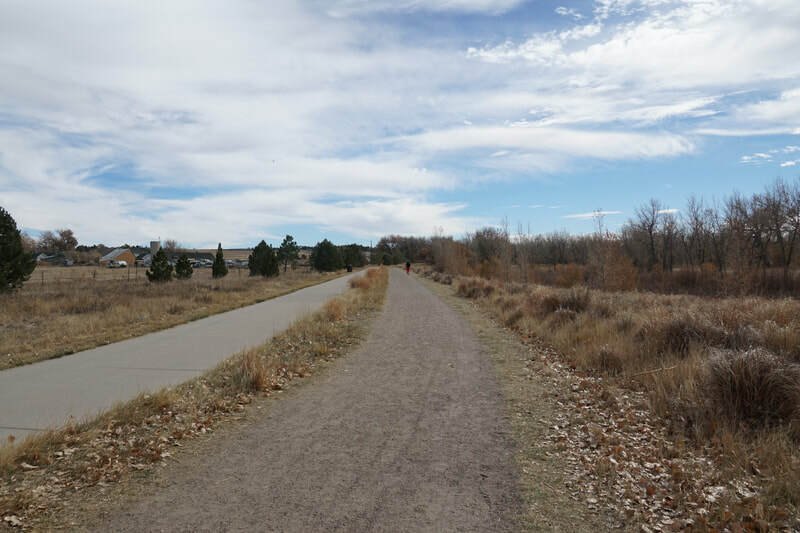 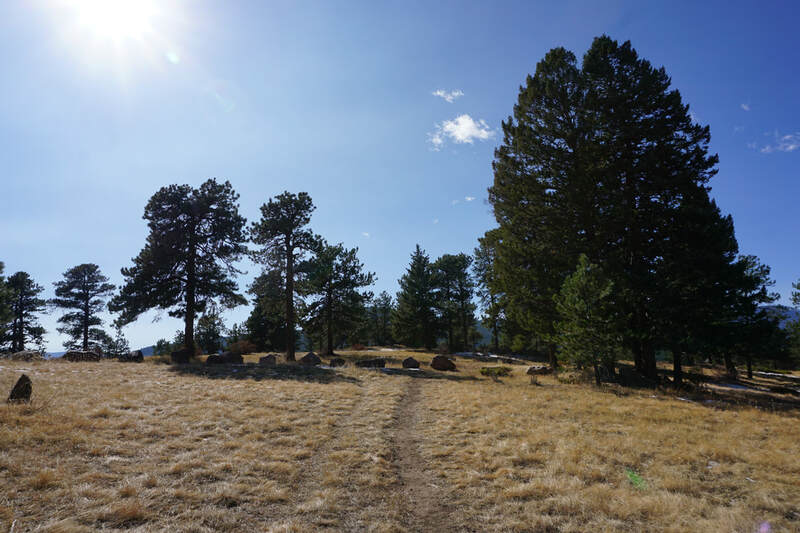 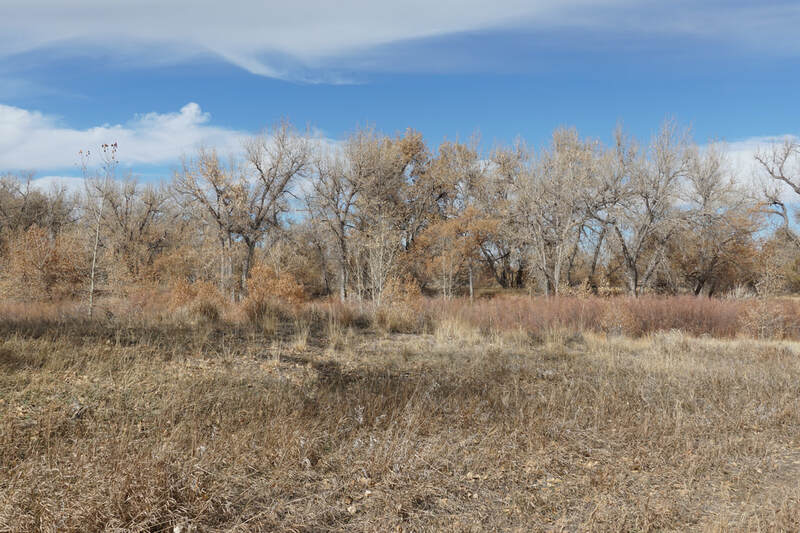 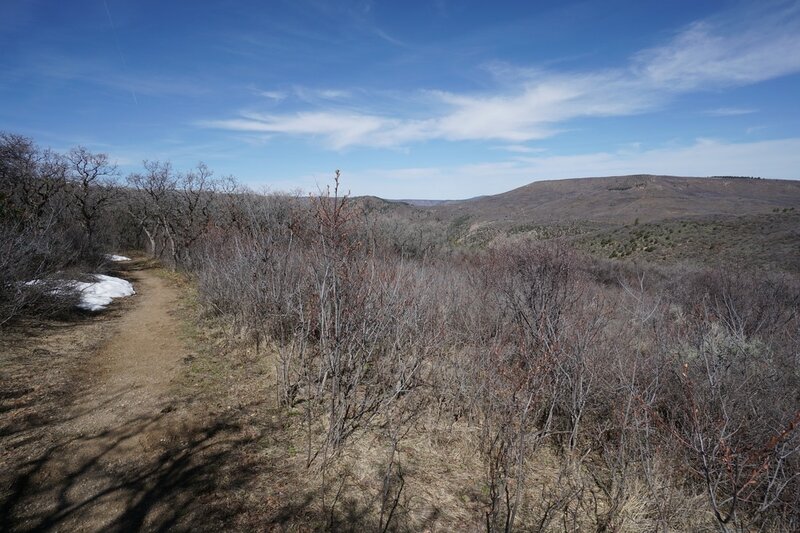 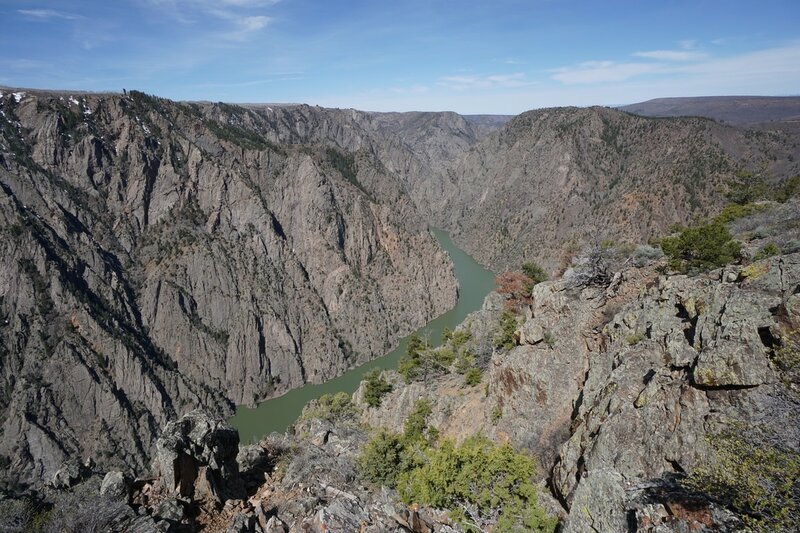 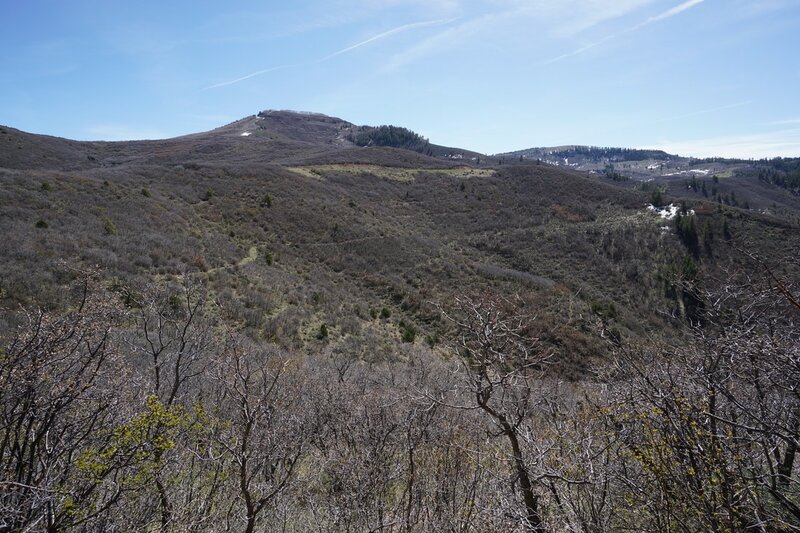 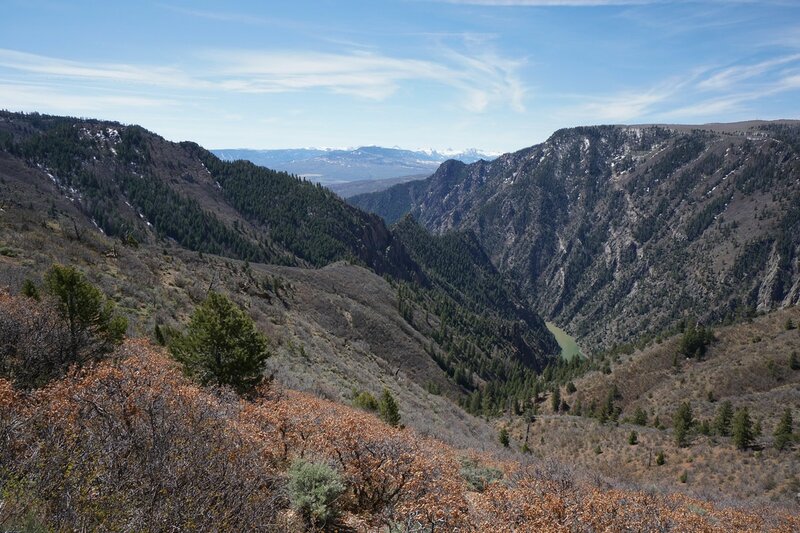 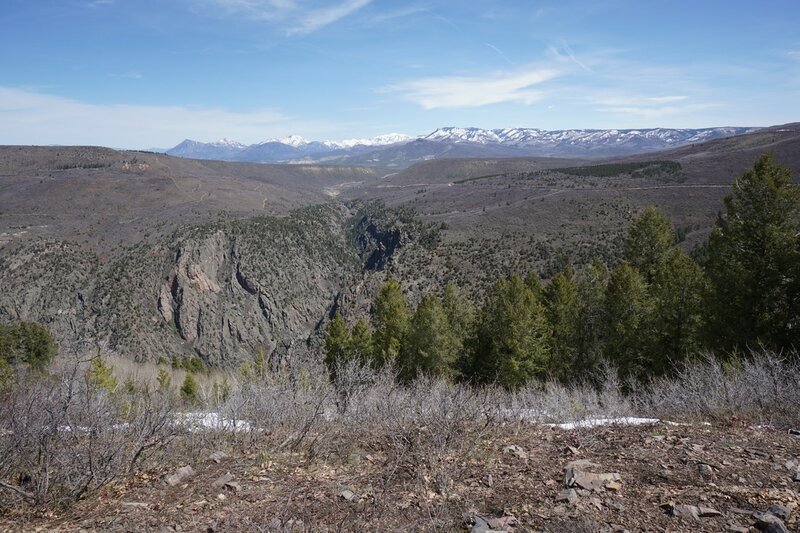 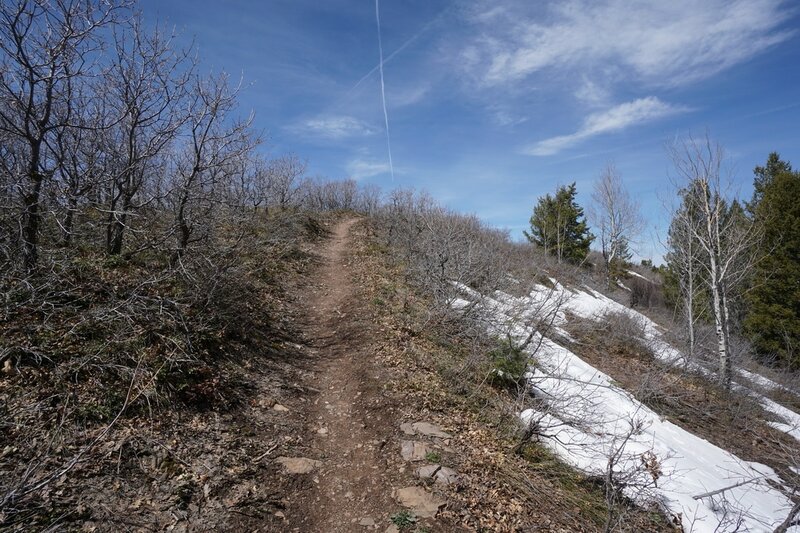 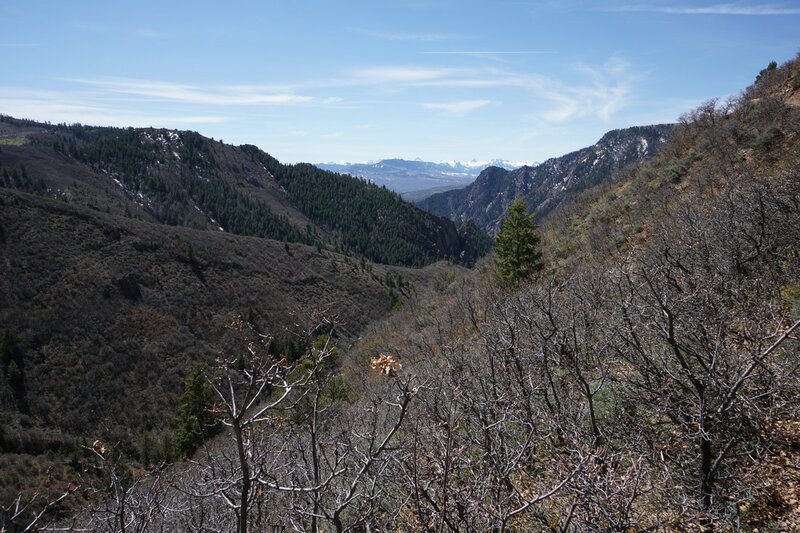 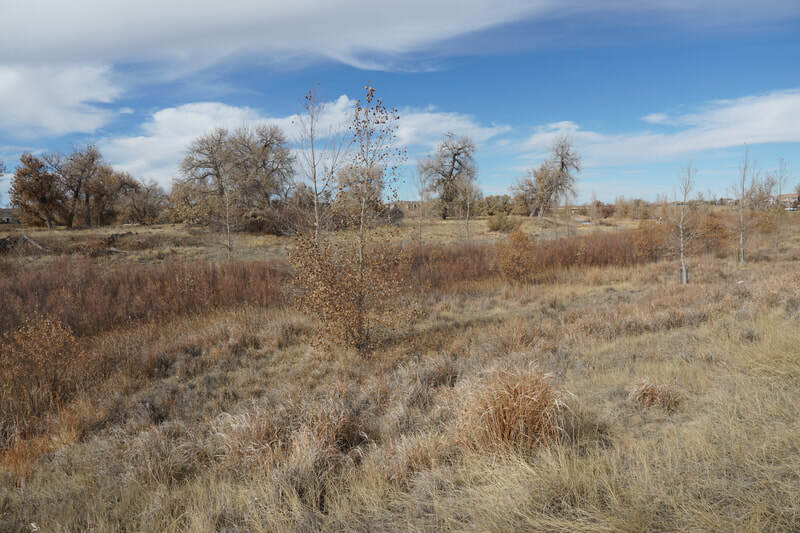 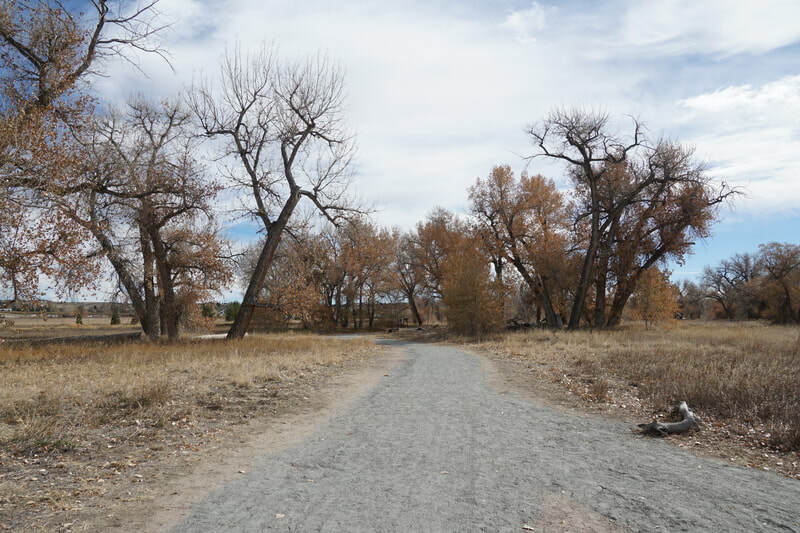 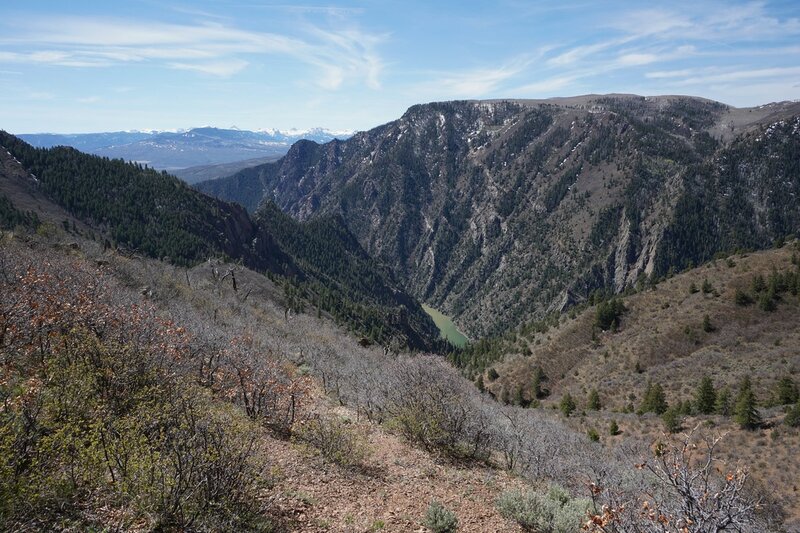 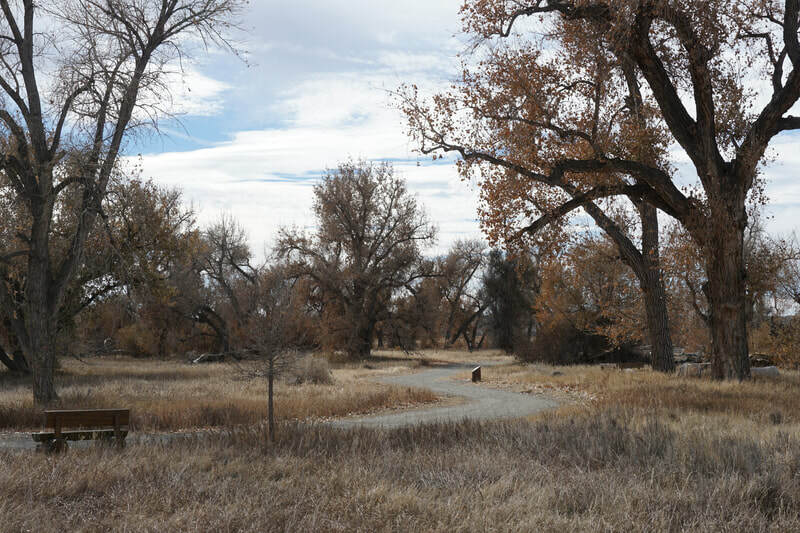 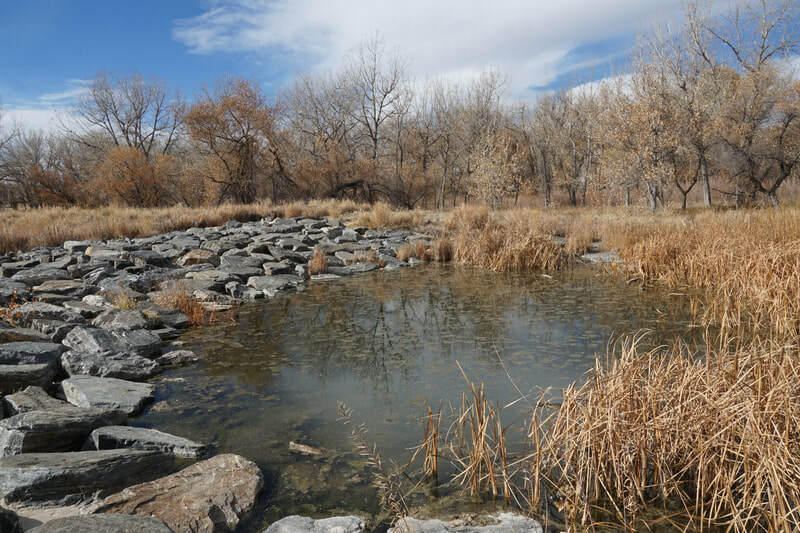 The hike is relatively simple and mostly follows a ridge with the Gunnison River on one side and the Elk Mountains on the other. The views are breathtaking from the start and the main viewpoint is well worth the effort. From the parking area head down through scrub oak to the base of the ridge that you will be climbing for the next mile and a half. 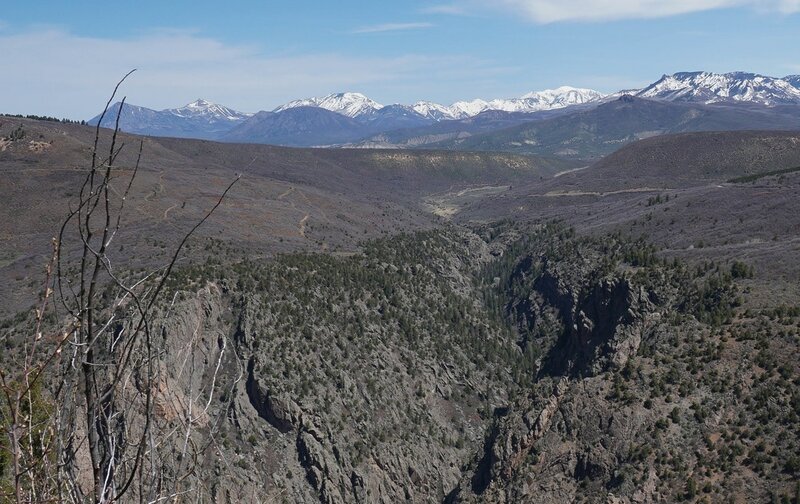 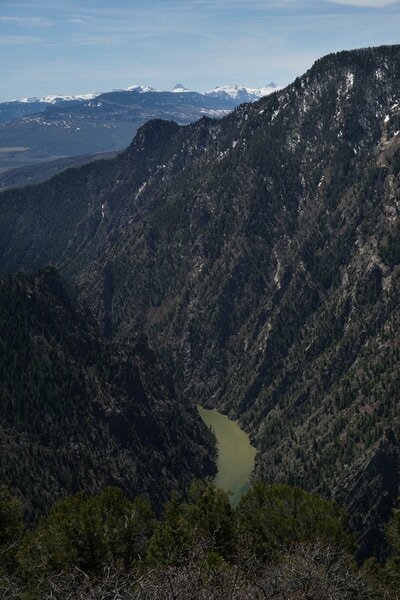 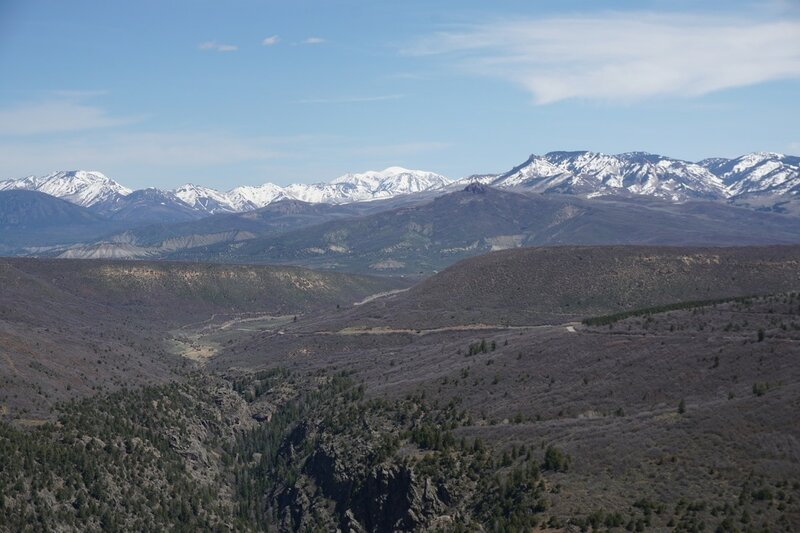 From this point there are tremendous views to the south of the Gunnison River's ever deepening canyon (eventually becoming Black Canyon of the Gunnison National Park) with the San Juan Mountains in the background. 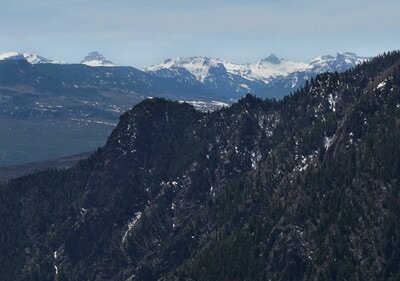 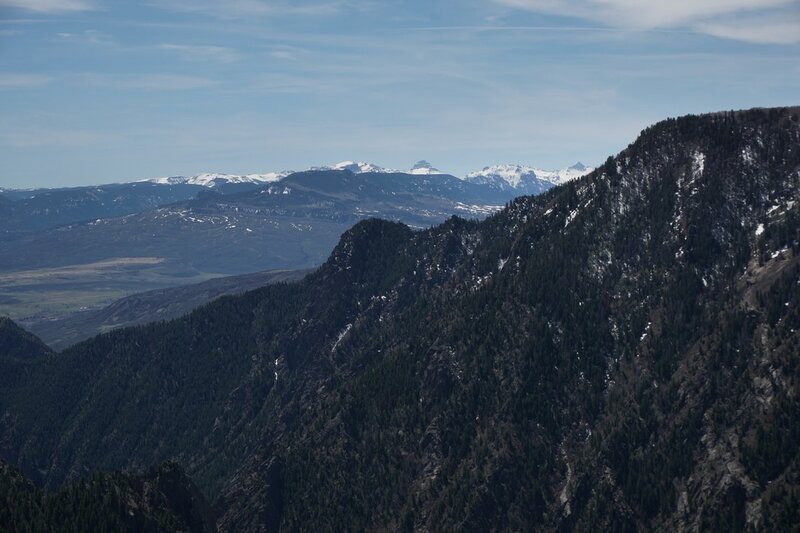 If you know what you are looking at you'll we able to make out Uncompahgre and Wetterhorn Peaks, both 14ers. 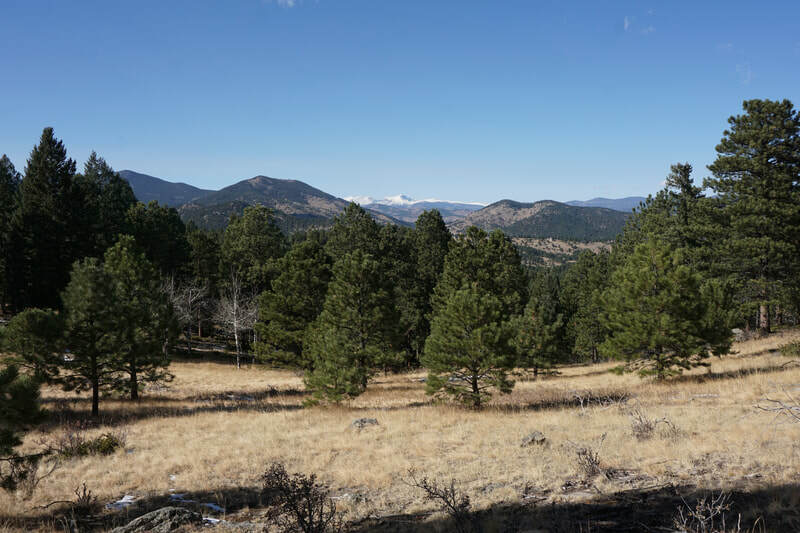 Start climbing up the southern edge of the ridge and before long you'll get your first views of the Elk Mountains to the northeast. 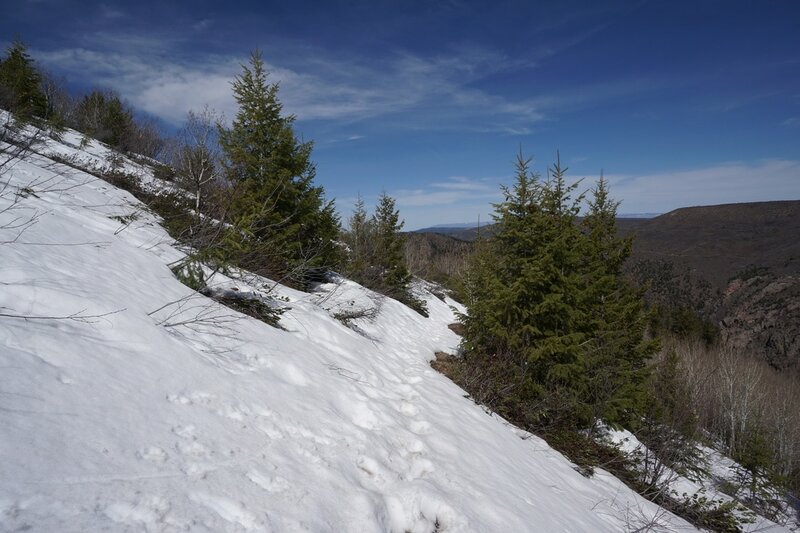 The ridge has a series of false summits and very varied terrain. 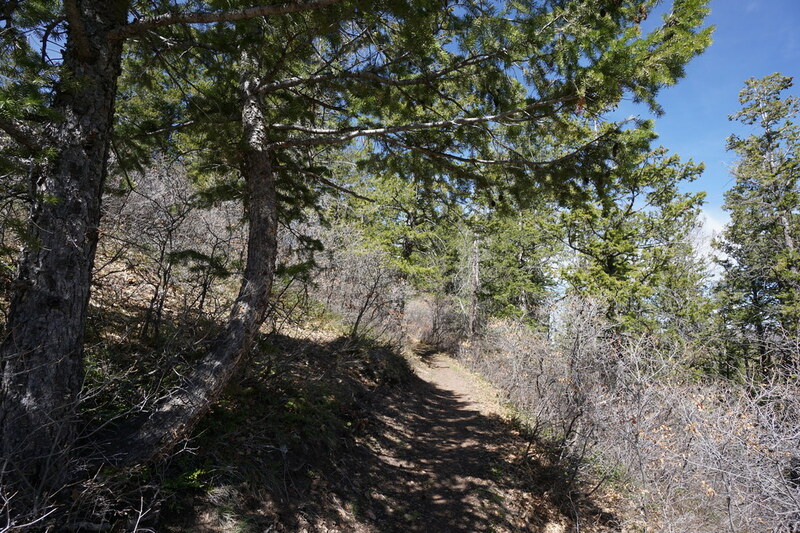 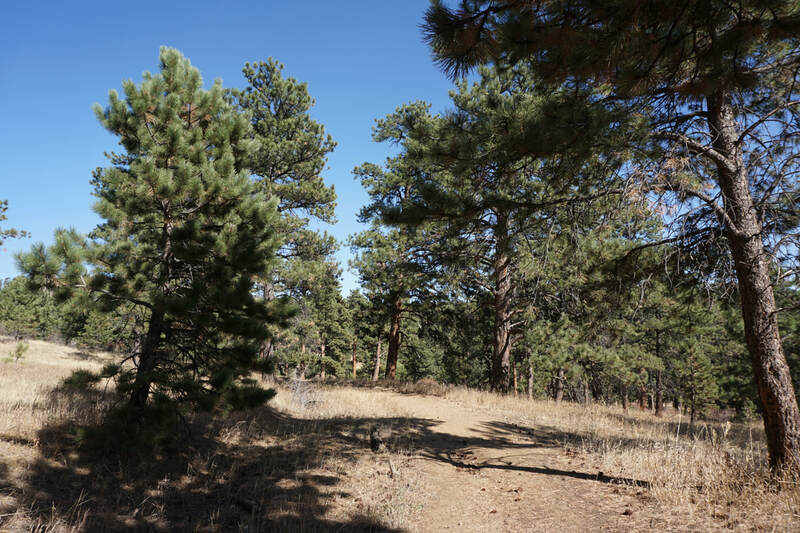 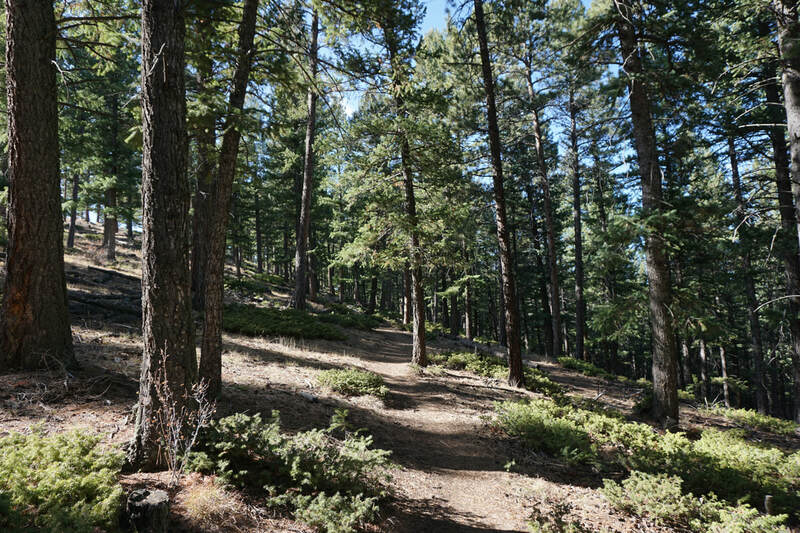 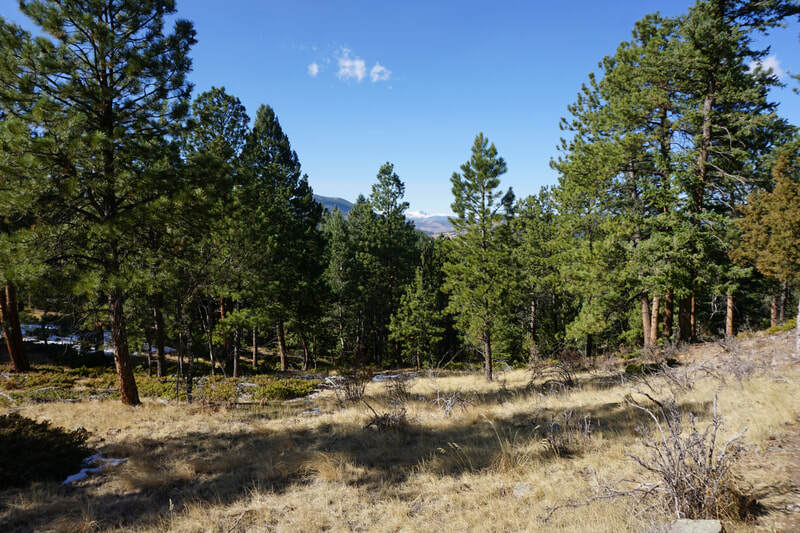 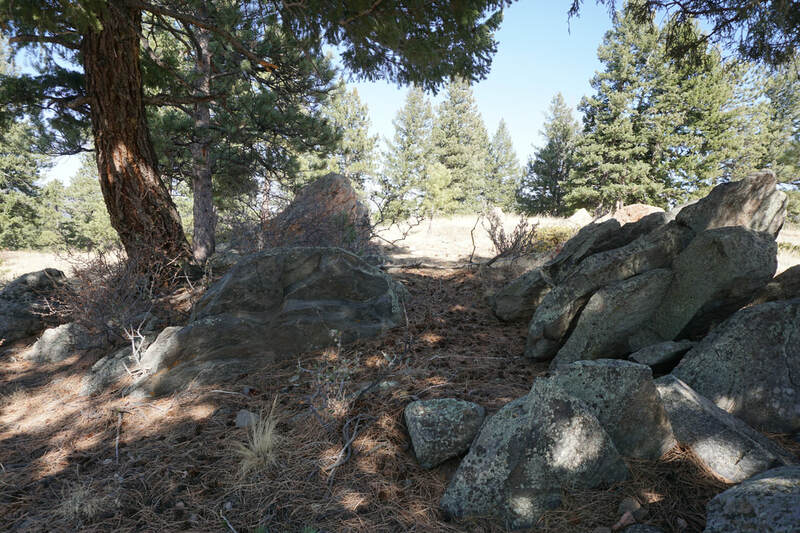 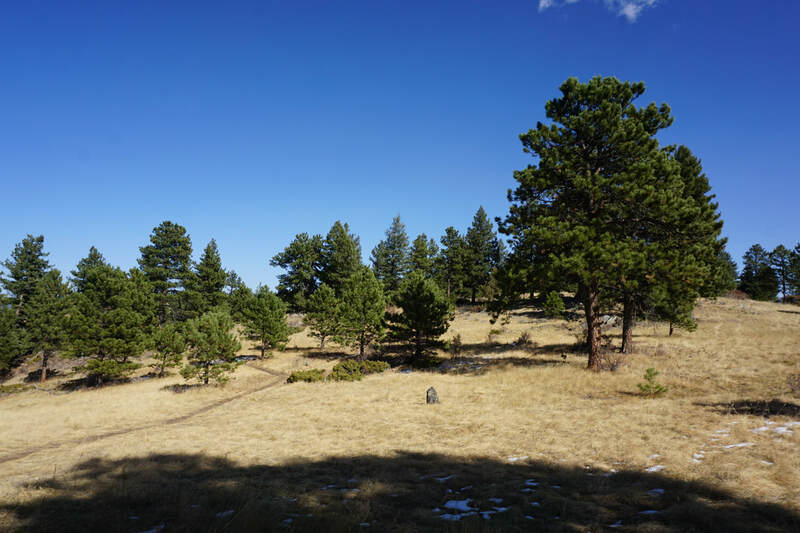 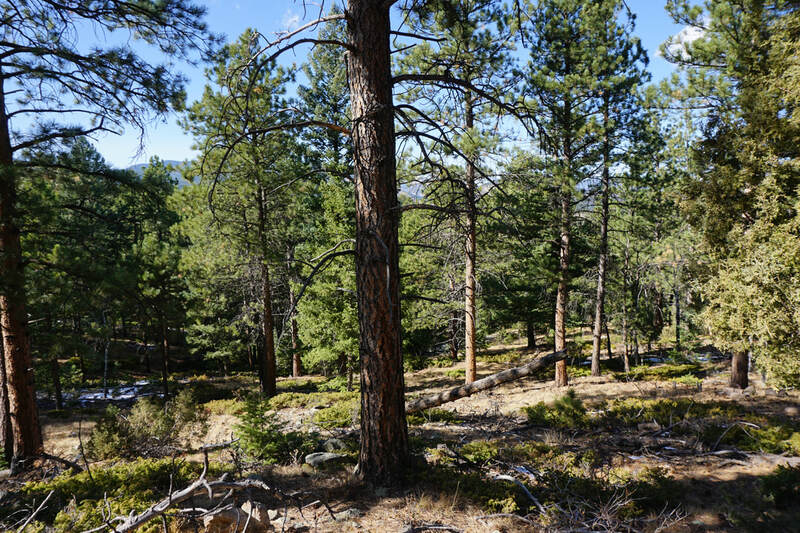 You'll weave through pine and aspen forest as well as smaller bush that enables the views. After about a 1 1/4 miles you'll reach the trail junction, the best views are via the right fork. The right fork cuts out to the northern slope and loops around to the west of the ridge summit. 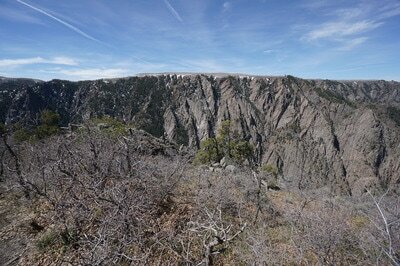 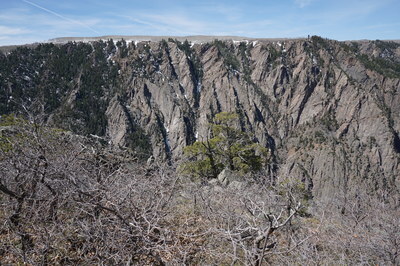 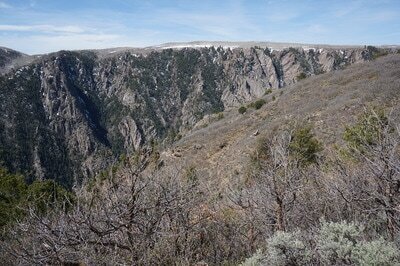 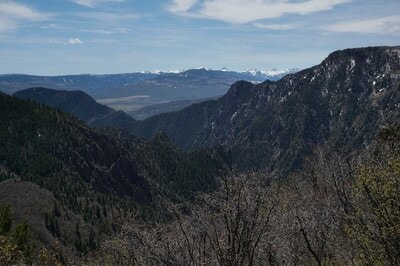 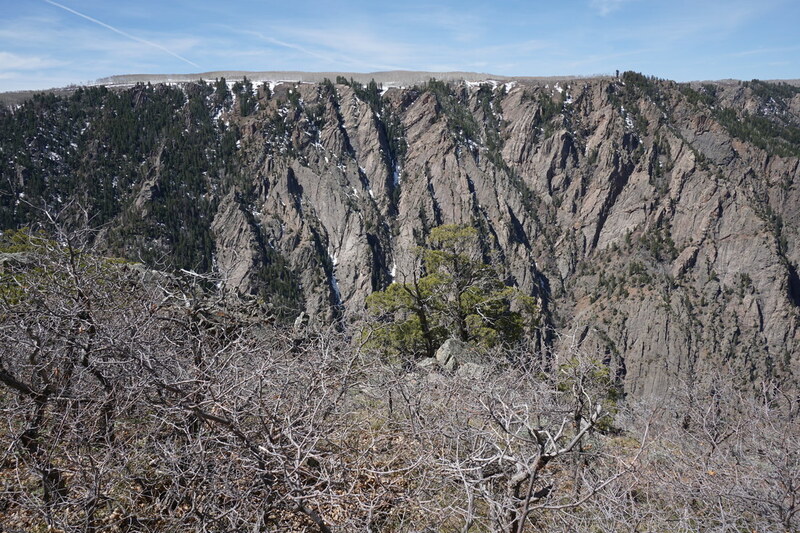 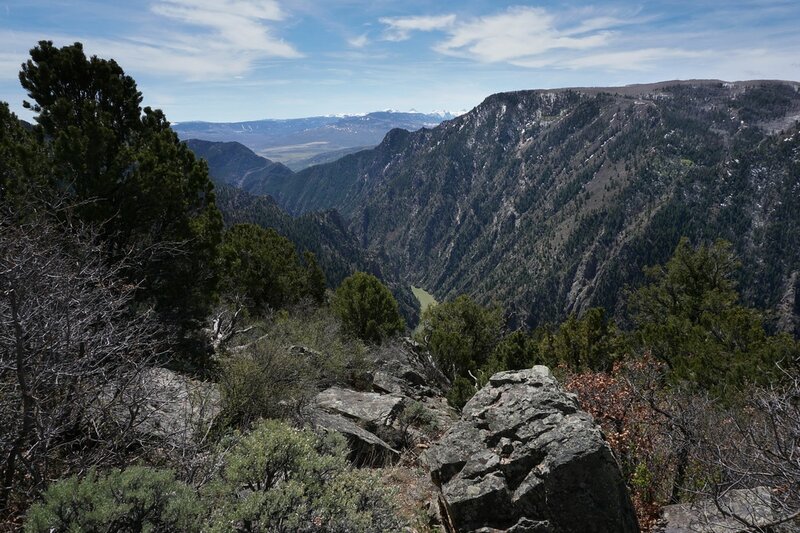 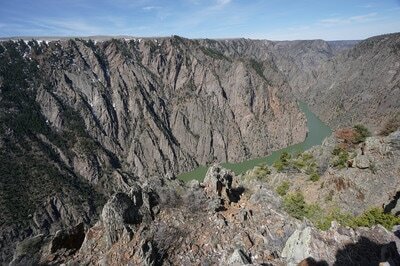 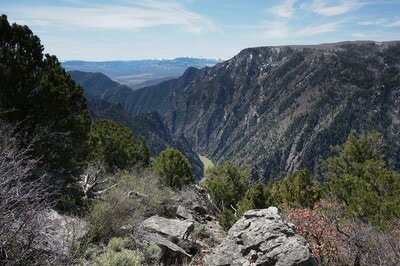 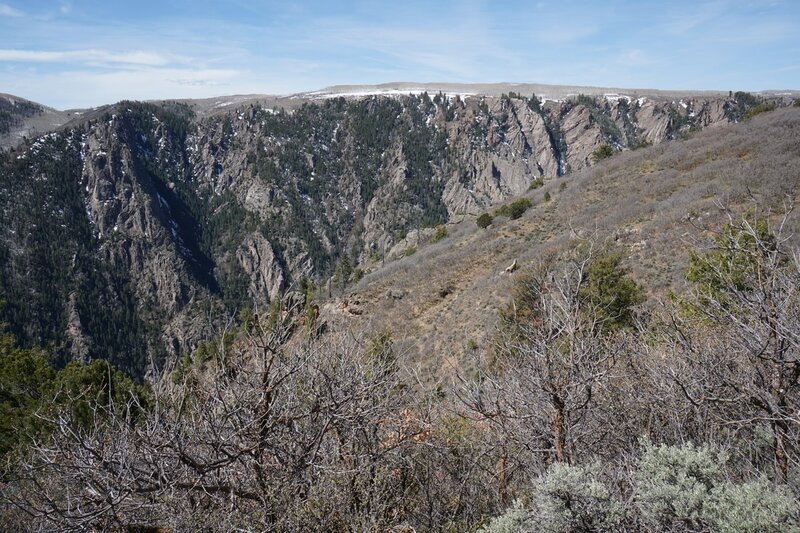 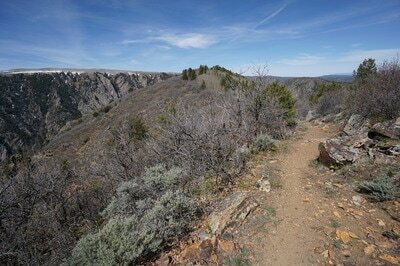 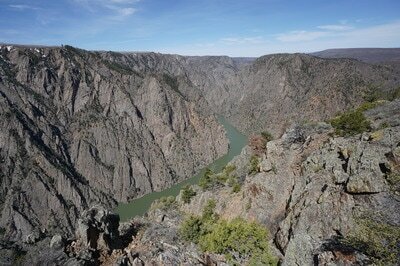 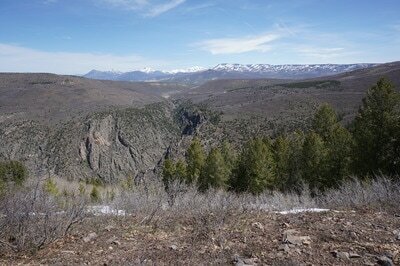 The viewpoint looks west to Crystal Reservoir and the sheer cliffs of the canyon are very impressive. The left fork of the trail junction climbs up to the ridge summit and gives you a 360 degree view of the canyon, river, Elk Mountains, and the San Juans. 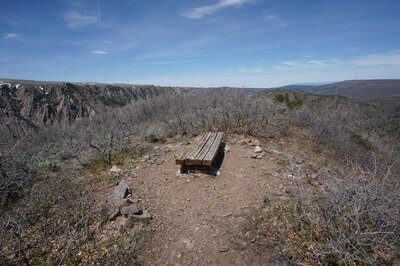 There is a bench for relaxing before you head back. The Crystal Trail is a real treat, you get tremendous bang for your buck as the hiking is easy and the views are epic. 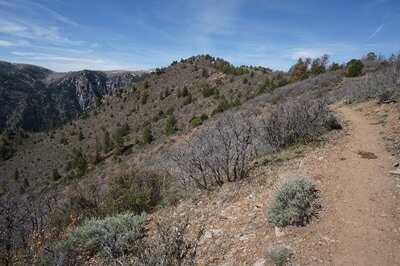 This is a great trail for kids but it is also one that everybody visiting Curecanti NRA should seek out. 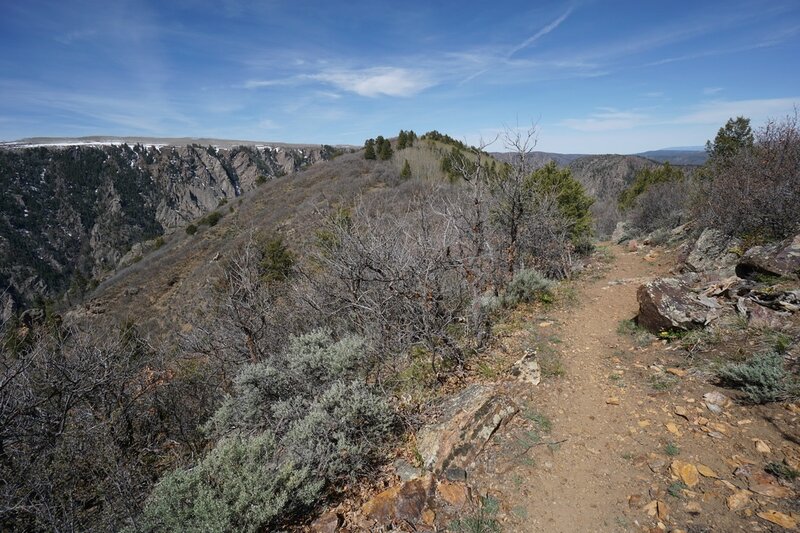 The trail is great in the late winter/early summer but the best time of year is probably the fall as the aspen colors would be amazing.